Your vehicle has no required tire rotation. Tire wear is affected by a number of factors such as tire inflation, ambient temperature, driving style, etc. • If the tires are rotated, they should only be moved from front to rear or vice versa. They should never be rotated left to right/right to left. • Ideally, tire rotation should be done the first time after approximately 3,000 miles (5,000 km) and thereafter at 6,000-mile (10,000-km) intervals. Some customers find that tire rotation may help to get extra mileage from tire life. • Tire rotation should only be performed if front/rear tire wear is fairly even and tread height is above 1/16" (1.6 mm). 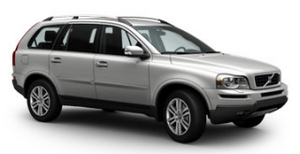 Your Volvo retailer can also provide guidance based on your particular driving circumstances.